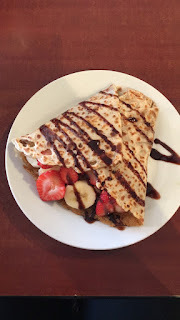 If any Arizona peeps happen to read this little space of the internet of mine, you have got to go to this crepe place. 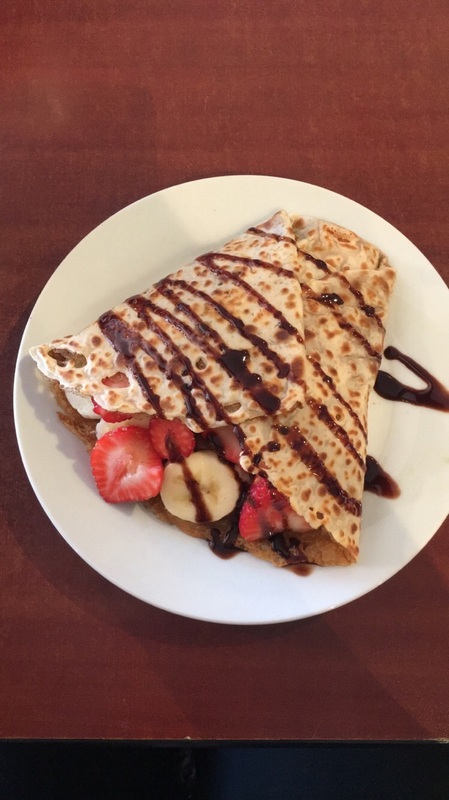 It's called Cupz N' Crepes and it's in Phoenix. I've tried to start a little tradition of eating crepes every time we go out of town or on vacation. I got a sweet crepe (obviously) and Trevor got a savory breakfast crepe. Heaven, I tell you. We celebrated by going to dinner at Ruth Chris. It's one of our favorite places. In Salt Lake City, the people aren't usually insanely and fancily dressed, but with the restaurant we visited in Snottsdale Scottsdale, we felt a little out of place to say the least. We pulled our Hyundai rental car into the parking lot next to ferraris, tesla's, and other crazy nice cars. We had a good time laughing and teasing. It was certainly a much needed night.